Truck Accident Lawyers In Oklahoma City | Johnson & Biscone, P.A. Semi trucks are massive vehicles. They weigh up to 40 tons when fully loaded, and travel an average speed of 55 miles per hour on the interstate. Unsurprisingly, collisions between passenger vehicles and these big rigs often result in serious injury and even death. Truck accidents aren’t just devastating. Achieving the compensation you deserve after a tractor-trailer crash can be complicated. That’s why it’s important to find truck accident lawyers you can trust to handle your case right. 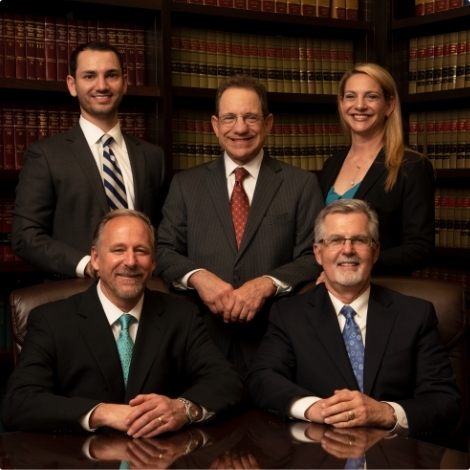 Learn how our experienced truck accident attorneys can help you by calling Johnson & Biscone, P.A. at 405-232-6490 for a free consultation. We serve clients throughout the Oklahoma City area, including Edmond, Norman, and nearby communities, as well as all of Oklahoma. Driving a rig is a specialized skill. That’s why drivers need to have a commercial driver’s license in order to operate an 18-wheeler. 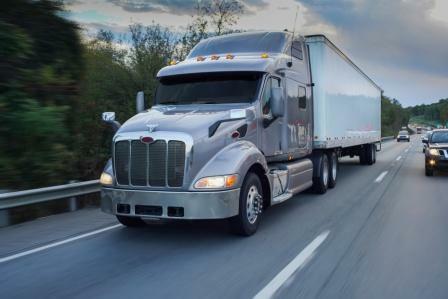 It also requires truck drivers to be extremely diligent when performing maneuvers that the driver of a passenger vehicle would almost take for granted. For example, semi trucks make wide turns. If the driver fails to take this into account, the trailer can swing into an adjoining lane and cause an accident. Overloaded or imbalanced cargo: Federal guidelines specify how much cargo an 18-wheeler can haul. If the trailer carries too much or the load isn’t properly balanced, the truck can jackknife while braking, roll over, or drop improperly secured cargo in the middle of the road. Poor maintenance: Trucking companies are required by law to conduct regular safety inspections, perform maintenance, and keep records of repairs and replacements. Failure to follow these laws can result wear and tear that goes unchecked, potentially resulting in tire blowouts, brake failures, and other issues resulting in accidents. Failure to screen job candidates: When hiring a driver, trucking companies have a duty to ensure that the applicant is qualified to operate a big rig and can perform his or her job safely. Drivers with inadequate experience cause accidents. Failure to perform drug tests: Driver intoxication is a leading cause of truck accidents. When the company fails to screen drivers for alcohol or drugs, the results can be catastrophic. Maintaining unrealistic deadlines: Trucking is a competitive industry, and freight companies often push drivers to reach their destination as quickly as possible. Although the Federal Motor Carrier Safety Administration (FMCSA) regulates how long drivers can be on the road before resting or sleeping, it’s not uncommon for drivers to skip required rest breaks and sleep due to pressure from their employer. This increases the likelihood of an accident due to driver fatigue or careless driving. Some combination of these factors may be involved in your case. Truck accident lawyers at Johnson & Biscone, P.A. will investigate all parties and causes and take action on your behalf. Truck accidents can lead to long-term disability. They can prevent you from working and providing for your family. And, in the worst case, a crash with a semi truck can be fatal. Call 911. In addition to emergency personnel, ask for a police officer to come to the scene and make a report of the accident. Take pictures. Photograph your vehicle, the truck, and the scene, as well as any injuries you’ve sustained. Speak to witnesses. The scene of the accident might be the only chance you have to talk to stopped motorists, pedestrians, and others who saw what happened. Be sure to get their names and contact information. Get the driver’s information. Ask for documents specifying who owns the cab, the trailer, and cargo aboard the truck. The driver should present you with a commercial driver’s license. Contact Johnson & Biscone, P.A. Once you’ve spoken to the police and received treatment for the injuries you’ve sustained, contact our trucking accident attorneys as soon as possible. We will talk about what information you should bring to your in-office consultation, how to protect your rights, and more. You may be contacted by an insurance adjuster or a representative of the trucking company after the accident. Your answers to their questions could seriously undermine the integrity of your claim, so it’s best to refer them to your attorney. The recovery in your truck accident case will depend on the specific details of the crash, as well as the damages you suffer. 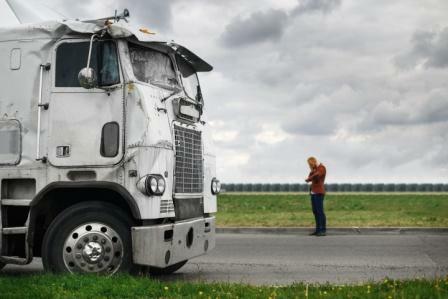 As you might expect, successful recoveries in trucking accident claims tend to be substantial due to the severity and extent of injuries that plaintiffs commonly sustain. Johnson & Biscone, P.A. has extensive experience in tractor trailer accident litigation. We will pursue full compensation for the injuries you sustain. And, should the truck accident result in the loss of a loved one, our attorneys can pursue a wrongful death action on your family’s behalf against the parties responsible. Truck accident claims are not the same as a car accident lawsuit. There are many more factors involved, and generally more than one party at fault. What’s more, trucking companies have legal teams who are dedicated to disputing injury claims. During your initial, no-commitment consultation, you will speak directly with a truck accident attorney about the injuries and other losses you have sustained. Johnson & Biscone, P.A. is dedicated to protecting your rights after an accident and maximizing the damages to which you are entitled. Why Choose Johnson & Biscone As Your Truck Accident Attorneys? At Johnson & Biscone, P.A. our experienced truck accident lawyers prepare every case as though it will go to court. Although some cases are settled to our clients’ satisfaction before trial, we have also achieved millions of dollars in jury verdicts on behalf of clients injured in trucking accidents. Collectively, our attorneys have over 90 years of experience in cases involving truck accidents and other vehicle crashes. We have extensive knowledge of the laws in Oklahoma, as well as federal guidelines issued by agencies like the FMCSA and National Transportation Safety Board. We diligently investigate the cause of the truck accident to determine all liable parties. Our law firm has established extensive relationships with a host of experts who help us present evidence of the injuries you have sustained and the negligence of the truck driver, trucking companies, and other parties. Oklahoma City is served by several major interstate highways, including major freight corridors like I-40 and I-44. As such, truck accidents frequently occur right in our backyard. We are very familiar with the toll these accidents have on the people in our community, and we are proud to act on behalf of people who suffer serious injury or lose a family member as a result of a semi truck collision. Truck accident cases require experienced representation. Our attorneys serve clients who are injured on roads throughout Oklahoma, and we stand with you through every step of your case. Please call 405-232-6490 to get started. We represent clients throughout the Oklahoma City area, including Edmond, Norman, and the nearby communities.